Times Internet Limited (TIL) announced today the launching of its new BoxTV.com video streaming service to offer entertainment videos such as movies, short films and TV shows to visitors on the go. It will directly be competing with similar service of Big Flix, but with some free channels offering in addition to the paid model to keep users interested. Box TV is available in paid as well as free subscription model. The free model will carry in-video advertisements to support its operating and it will also have limitations on content availability. Paid subscribers will be kept away from advertisements and can access premium content. Users can watch videos through Box TV on their iPad, iPhone and Android based tablets and smartphones. It has been made available through web channel to make access easier. According to TIL chief executive officer Satyan Gajwanj, the Box TV got user-centric design approach and is equipped with large content bank for accessing it anytime-anywhere. Currently the service is an invite only model. 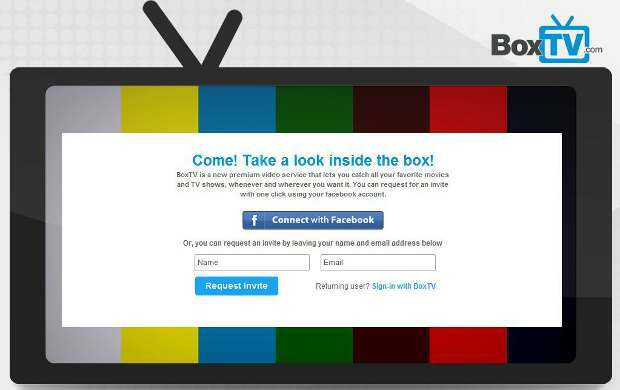 To receive the invite users need to visit to their website BoxTV.com. The BoxTV.com works on smart bandwidth management to understand the network strength of users and the availability of data to offer best suited video quality. Will Box TV be better than Big Flix? Will it lure more subscribers than its competitor? Do share your views with fellow readers in the below given comment box. Previous articleApple to unveil iPhone 5 tomorrow. What to expect?